Out of the world of off road racing, a filtered air breathing helmet to cut down on the dust and fatigue that race car driver endures, was born. At that time the longest, roughest, dustiest off rod race was the Parker 400, thus the name Parker Pumper. Parker Pumper Helmet Company was formed over 30 years ago by Stan Parnell. In 1989 this company was purchased by Racing Plus, Inc. It was then that this new company set its sites on the whole world of Motorsports. Parker Pumper was introduces into stock car racing, sports car racings, and many other venues. Through hard work and dedication, it became the popular choice among all drivers. in 1990, Embroidery In Motion was added to expand our company in the hopes to meet more of our customer's needs. In 1995 we made another addition. RPI BSR West was created. 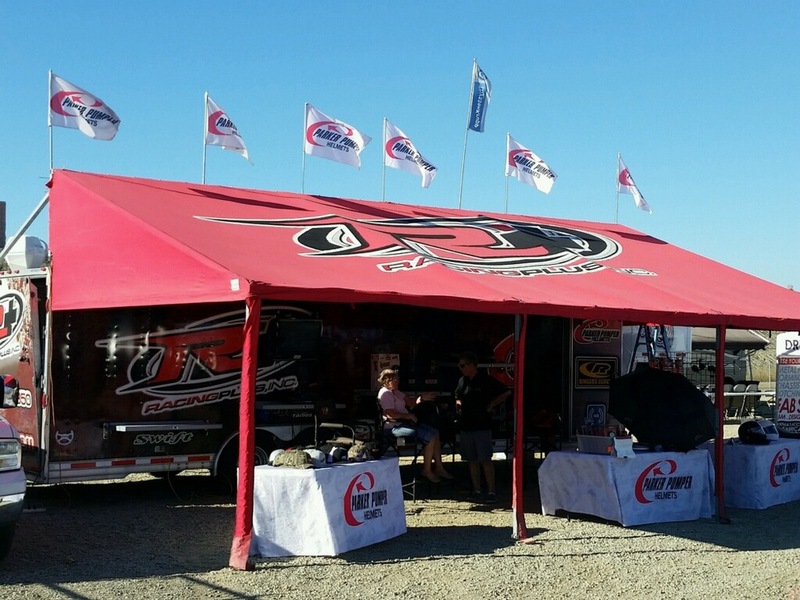 With a single truck and trailer and a couple shelves of products, we took on the task of servicing the two premier West Coast touring divisions of NASCAR at the track. And now that single helmets has grown into two trailers that service several Off Road series and the West Series. We have since stop using the RPI BSR West name, and now gone by Racing Plus, Inc. Same Company and we're not ready to take a breath yet!